An accumulation of chips, bits and electronic glue…. This entry was tagged Altera, DE0-Nano, FPGA. Bookmark the permalink. I used your design, and modified the FSM to support the Wishbone interface for the STORM core. I’m able to successfully transmit data to the computer using the STORM processor on DE0-nano. May be I can use your help to make it perfect? Hi Ali, thanks for your comment. It sounds like an interesting project. If you send me the HDL file for your modified FSM I’ll take a look and see if I can spot the issue. The buffers themselves are ‘black-boxes’ generated by the Altera megawizard, so it’s could be a signalling issue in to/out of the in buffer. Yeah, I know the buffers are the Altera’s DCFIFO. 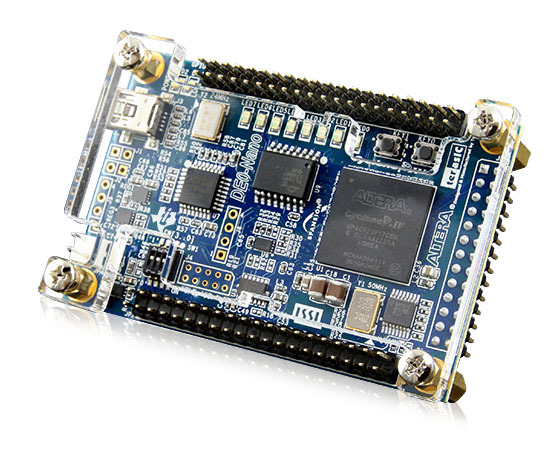 jtag_uart_controller.vhd has the Wishbone interface. You should be able to update your Wishbone bridge fairly easily.